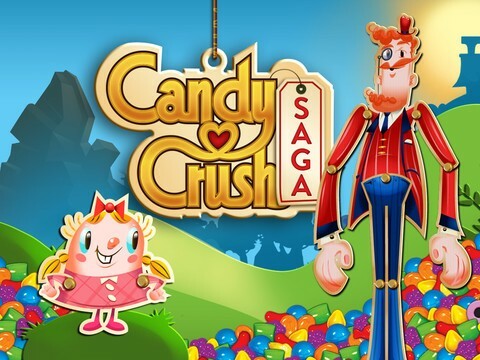 Candy Crush Saga is one of the hottest Facebook and mobile games around. 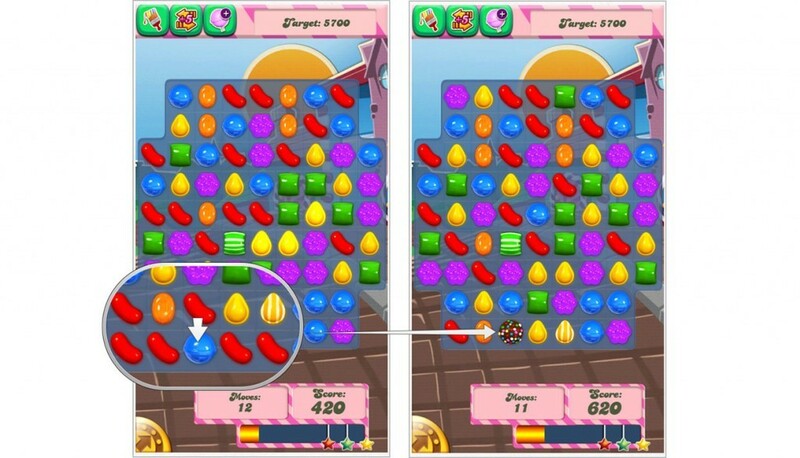 For those of you that don’t know, the gameplay is similar to Bejeweled, where you have to match three similar candies to earn points or complete objectives. There are special candy pieces if you get four or five pieces together as well. There can be different objectives in different levels. In some, you have to bring all of the fruit to the bottom of the screen. In others, you have to clear all of the jelly from the screen. Some levels are even timed. You have a certain number of moves to complete the objectives. There are also boosts available in the Yeti Shop which you can buy. Hopefully some of these tips and tricks will help you enough so that you don’t actually have to spend any of your hard-earned money. Perhaps the most important tip is to try to find the patterns in any level, and take advantage of them as much as you can. If you can match four candies, then you get a striped candy. Once you match that, it’ll make the entire row or column disappear (whichever direction the stripes are facing). If you can match five in a row, you get a sprinkled candy which you can use at any time. This swipe this candy with a nearby one and it’ll make all of those colored candies disappear too. If you can get an L-shaped pattern (it can be any direction), you get a wrapped candy which acts like a bomb. By starting at the bottom, you can let more candies fall, which gives you the opportunity to get some free moves if the new candies fall into the patterns. Obviously if you have the opportunity to create one of the pattern candies at the top, do that first! On some of the harder levels, this is the only way to beat them. If you can get the wrapped candy, sprinkled candy, or striped candies together, different combinations create different effects. Sometimes they can clear almost your entire board in one swipe. The two best combos are a wrapped with a striped or a sprinkled with a striped. When you start a level, study the board before you start. Look for difficulties you might run into. For example, some have unreachable squares that you can only clear with a pattern candy. Other levels have weird edges that are difficult to clear, so focus on those first and worry about the middle last. Once again, if you see the opportunity for a pattern, even if its in the middle, take it! If you’ve eaten a piece of chocolate in a move, the chocolate will not expand. Try to clear the chocolate first so that it doesn’t take over the entire board. You can clear chocolate by matching candies that border the chocolate. Once the candies blow, that piece of chocolate will too. If you play the game on your iPhone and don’t mind messing around with your time, you can get some extra lives by doing this cheat. If you go into your Date & Time settings, and add two hours to your time, you’ll get 4 lives! You can keep doing this, but eventually it’ll catch up, so try to time it so that when you put your time back, its around your bedtime!